VHF/UHF signals usually need to be filtered in an ATC system in order to reduce interference caused by other RF signals. VHF/UHF signals usually need to be filtered in an ATC system in order to reduce interference caused by other RF signals. 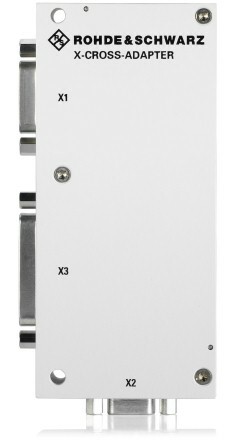 In addition to manual filters, automatic filters such as the R&S®FX22X can be used for this task. 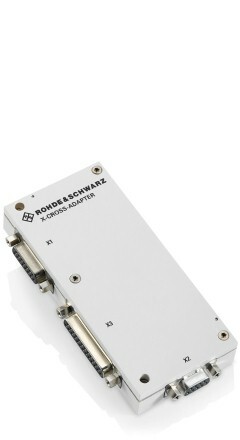 The R&S®KG42-Z75 X-CROSS ADAPTER makes it possible to control these automatic filters via the R&S®Series4200 radios. The R&S®KG42-Z75 X-cross adapter allows data to be exchanged between R&S®SERIES4200 Software Defined Radios radios and R&S®FX22X automatic filters in order to adjust the filter frequencies. To achieve this, the R&S®KG42-Z75 X‑cross adapter converts the radios' serial protocol into a parallel BCD signal. The R&S®KG42-Z75 X-cross adapter supports the migration from R&S®SERIES200 to R&S®SERIES4200 Software Defined Radios radios because the existing R&S®FX22X filters do not have to be replaced. The radio detects if the R&S®KG42-Z75 X-cross adapter or filter fails and displays an appropriate warning. If the power supply is interrupted, the current frequency is saved and then retransmitted to the filter. If the R&S®KG42-Z75 fails completely, the filter continues to function at the current operating frequency. The radio supplies DC power to the R&S®KG42-Z75 X‑cross adapter and to the automatic filter so that a separate power supply is not necessary. Two through holes are provided for integration of the equipment in ATC standard racks. A debug interface enables Rohde & Schwarz maintenance personnel to update and maintain the equipment.